The Sound Forge 9 professional digital audio production suite includes everything you need to quickly get from raw audio to finished master. Use this suite to create and edit stereo and multichannel audio files with speed and precision. 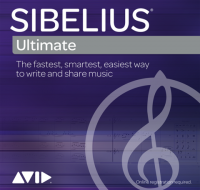 Efficiently analyze, record and edit audio, digitize and restore old recordings, model acoustic environments, design sound for multimedia, and master replication-ready CDs. 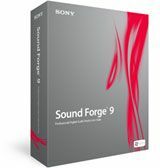 Sound Forge 9 software has a complete set of tools for recording audio. Record straight into your sound card or use the Record Timer to begin and end a session at a specific time and date. Alternatively, you can start recording when a certain audio threshold is reached with Threshold Record Triggering. You can also now record and edit multichannel audio files as easily as stereo files. Edit stereo and native multichannel audio files down to the sample level in real time. Use familiar Windows commands to cut, copy, paste, mix, and crossfade audio. Drag and drop to edit between channels, and work on one file while processing others in the background. Sound Forge software supports full resolution 24-bit and 32-bit/64-bit float 192 kHz files for the ultimate in audio fidelity. Capture the subtle overtones and nuances of instruments, vocals, and effect changes. Apply over 40 professional studio effects and processes including Normalize, EQ, Delay, Chorus, Volume, Dynamics, Noise Gate, Pitch Shift, Flange, and Vibrato. Chain multiple effects together and apply them to selections or entire files using the Plug-in Chainer. Sound Forge 9 software also supports DirectX and VST effects, including parameter automation, to expand the number of effects you can apply to audio and increase your mastering flexibility. Sound Forge 9 software supports multiple video formats including AVI, WMV, and MPEG-1 and MPEG-2. Synchronize audio and video frame by frame. Import Flash (SWF) files* to visually synchronize your audio to your project. Sound Forge 9 software includes MPEG-2 templates for writing HDV-compliant files at both 720p and 1080i resolutions. Also included are templates for encoding WMV 720p and 1080p. Use Sound Forge 9 software to export multichannel files in surround AC-3 format using the included Dolby Digital AC-3 plug-in.